We are looking for soybean growers who have 10 or more acres of woodlands or forests that they own and/or are publicly owned and adjacent to their soybean field. Soybean aphid has quickly become one of the most damaging pests of soybean in the Great Lakes Region, negatively impacting soybean yields and quality. There are numerous options for managing soybean aphid ranging from aphid resistant soybean varieties, insecticides, and predatory insects. These treatments focus solely on the field. 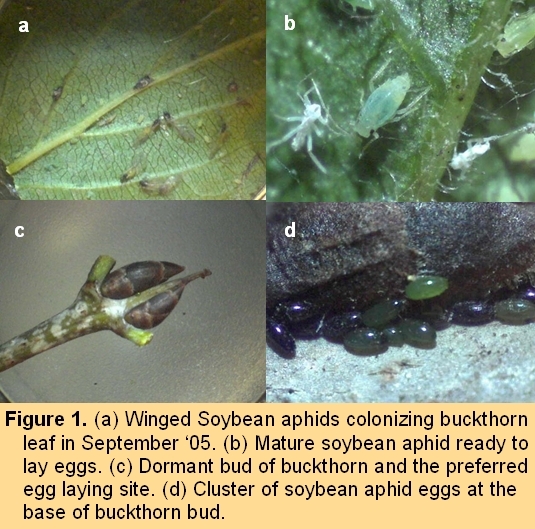 However, soybean aphid requires buckthorn to overwinter. 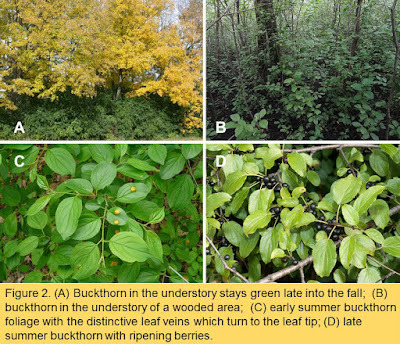 Buckthorn is a widely distributed, invasive shrub common in forests, woodlands, and hedgerows. There has been little research exploring the relationship between buckthorn density and soybean aphid populations. The MN Soybean Research and Promotion Council has recently funded a project to explore this topic. The long-term goal of this proposal is to explore treatments methods for controlling buckthorn, decreasing soybean aphid populations, thus increasing quality and yields for soybean growers. Field crews will sample in both the woodland and the soybean fields. Field crews will set-up forest inventory plots in the woodlands to gain information on the overstory, regenerating seedlings and saplings, and buckthorn density once during the summer growing season. This information will be shared with the landowner. Field crews will use transects to sample soybean aphid populations 2 to 3 times during the growing season to quantify how soybean aphid levels change. 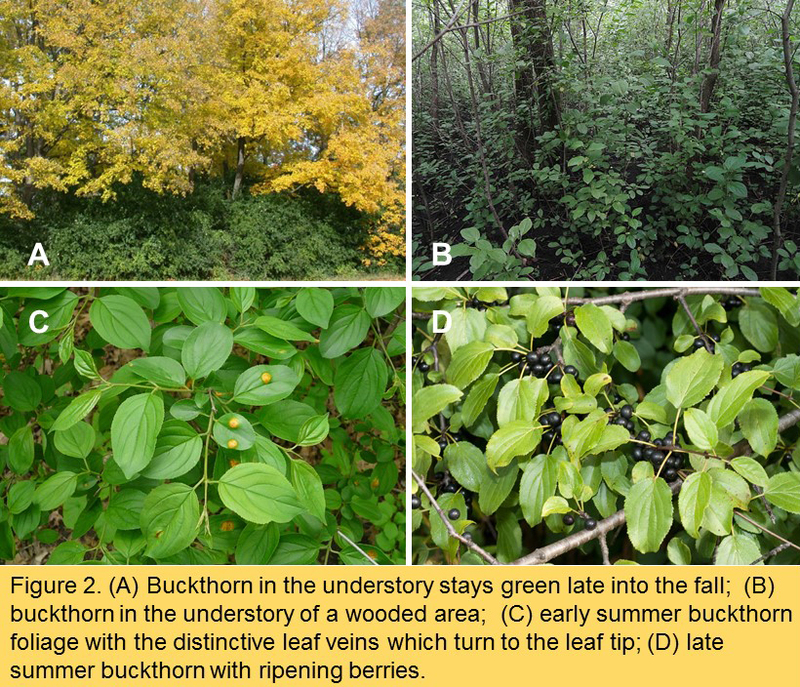 This information will be used to test the relationships between buckthorn density, buckthorn proximity, and soybean aphid populations through the growing season. We are planning to begin early season sampling in June.